This is initiative taken by students of IBA College. 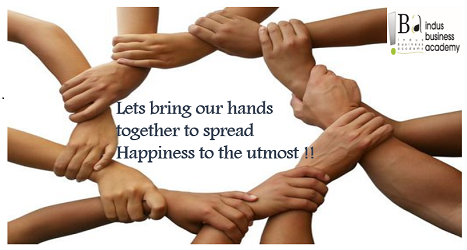 Each day we will celebrating together to spread happiness to the utmost. We will be starting the week with a visit to an old-age home, spending some time with them and donating some valuables to them. Moving on with medical camp arrangement for college students, faculties and near by localities. Adding on free lunch arrangement for the all the staff members working in college and a flash mob for creating awareness on “Educating Girl Child”.